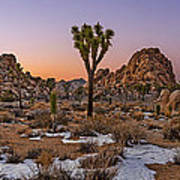 There are no comments for Joshua Tree Dusk Panorama. Click here to post the first comment. 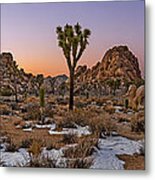 Spectacular dusk panaramic view of Joshua Tree in the winter with snow. 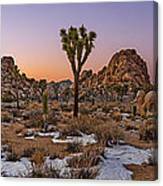 This is high resolution and can be printed up to 7 feet in length. It is a 3 to 1 ratio, so printed at 6 feet long will be 2 feet tall. Multiple sizes are available.